Lifestyle Jarrah's commercial furniture is designed for use where heavy duty furniture, built to last is needed such as remote area camps, mine sites, parks and recreational areas, caravan parks, cafes and hotels. We use KILN DRIED FURNITURE GRADE JARRAH to minimise any shrinkage, twisting and splitting which can occur in outdoor furniture made using green timber. Our furniture is oiled for outdoor use using an oil bath so the Jarrah soaks in the oil- alternatively you can specify an alternative treatment such as Sikkens or Timbatreet (an eco-friendly natural product). This heavy duty commercial furniture range can be customised to suit your conditions – we make beer garden or pub tables and benches, cafe tables, cellar or standing tables, bar stools, sunloungers as well as tables and chair settings. 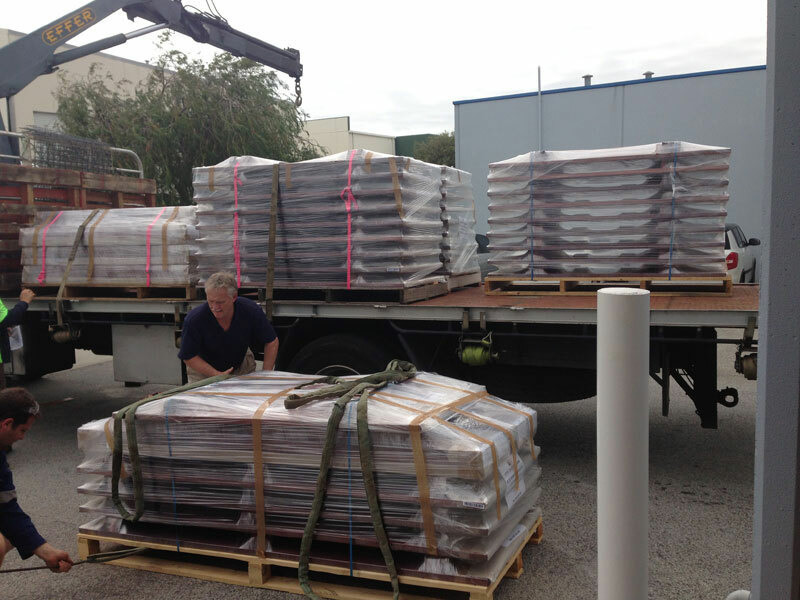 Our furniture can be packed in semi knockdown form for easy assembly on site and for transport Australia wide. We are happy to arrange delivery to a Perth metro transport depots of your choice. We need a number of Picnic sets for our remote miner’s camp – do you offer a bulk discount? Can you arrange delivery to a transport depot for us? Can you send outdoor timber furniture to remote areas? Yes we can send most outdoor furniture Australia wide – we flat pack in semi knockdown form for easy shipping and quick simple assembly. 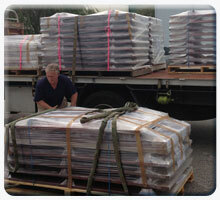 We can flat pack onto pallets and arrange delivery to a Perth Metro transport depot of your choice for onward shipping. West Australian Jarrah Timber is renowned for its good looks and durability and with some simple maintenance will literally last a lifetime, so can be looked on as an investment rather than cheap “hardwood” furniture which will need replacing a few years down the road. Jarrah is also a great choice for indoor furniture with its attractive colours and interesting grain. Jarrah has the added properties of being termite resistant which are a huge benefit in Australia. We use Kiln dried Australian Jarrah, which only grows in tough Australian conditions, is logged, dried and milled in Western Australia’s south west from sustainably managed forests. What care and maintenance will keep my outdoor furniture at its best? When your furniture is new and every couple of years it is worth checking that the nuts and bolts are tight. The nuts and bolts will “seat” into the timber when new so we advise to check and tighten the nuts and bolts with in the first couple of months. Your timber furniture will need oiling. Keeping your furniture in good condition will pre-empt any need to sand your furniture if it becomes rough from neglect – see information on oiling above. Do you need a deposit to start work on my order? We do ask for a deposit prior to starting on your order. We usually ask for approximately 50% deposit and the balance on completion/prior to delivery. Can I order outdoor chairs separately or must I order complete settings? 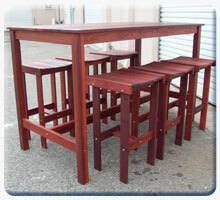 You are welcome to order just tables or just chairs or benches or bar stools. How often should I oil our outdoor Jarrah furniture? 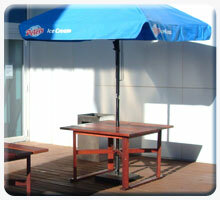 As every situation is different, and every season is different the need to oil your outdoor Jarrah furniture will vary. Out in the open we suggest oiling your furniture twice a year using Feast Watson Traditional Timber Oil. If your furniture is under a cover probably oil once a year. If your timber outdoor furniture starts’ looking dry or develops tiny cracks, called checking, give it another coat of oil – it will reward you by staying smooth and feeling good! Checking is usually just on the surface and does not affect the strength of your outdoor timber furniture. From experience we have found that a patina builds with each oiling and after a couple of years the furniture won’t need oiling as often. 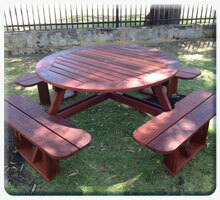 At LSJ we use FEAST WATSON TADITIONAL TIMBER OIL [natural] on the outdoor Jarrah Furniture we make. We have an oil bath so can give the timber parts a soaking to start with, then after air drying and assembly we re-oil the Outdoor furniture. From experience we have found that a patina builds with each oiling and after a couple of years the furniture won’t need oiling as often. Feast Watson Traditional Timber oil is available from hardware stores which stock Cabot’s products and most Bunnings stores. How should I apply the Oil? Firstly a cheap disposable plastic drop sheet, available for a few dollars at your hardware store, will save you getting any drips get onto your floor. We suggest applying the oil to your outdoor furniture with a lint free cloth – allow the oil to soak in to the timber for about half an hour, then wipe off any excess. Alternatively you can apply the oil with a paint brush to get into the joints and between the slats. A cheap paint brush which can be discarded after use will do the job. Once again it is worth wiping off any excess oil which has not been absorbed by the timber as this will leave a better finish. To Oil chairs – place an old towel on the table and turn the chair over so it rests on the chair arms on the table top. Your chair is now at a good height so you can oil most of the chair easily without bending. When you have oiled all available surfaces turn the chair over and finish off the top surfaces. EASY AS!! If you follow these directions your outdoor furniture will be dry in about 4 – 6 hours! CAUTION: DON’T LEAVE ANY OILY CLOTHS FOLDED OR SCRUNCHED UP – they can heat up and self-ignite. Spread any oiling cloths out to dry completely, and then discard in the bin. Do you offer a warranty on your outdoor and patio furniture? We offer a three year workmanship warranty.